The Engle Homes Inc is one of the largest American homebuilders with its corporate offices located at Orlando, Florida, USA. It has it operates in Colorado, Virginia, North Carolina, Georgia, Florida and Texas. It is a subsidiary of the Technical Olympic USA. Its principal subsidiaries include: the Universal land Title Inc and Preferred Home Mortgage Company. The Company was founded by Alec Engelstein in the year 1978. 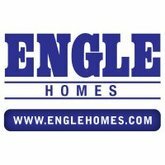 Engle Homes specializes in the designing, construction, marketing and selling of condominiums, patio houses, detached single- family homes and town houses. Through its subsidiaries, it also offers financial services to its buyers.